Two new game modes were added to Destiny 2 in Season of the Drifter: Gambit Prime and The Reckoning. These modes are tied to one another, offering up new rewards in the shape of new classed armour sets. To help you get started, there are four Power Surge bounties you can acquire that boost your Power to 640, meaning you can jump into both modes right away. In this guide, we’ll look at how to complete the Power Surge bounties, how to win a Gambit Prime match and how to unlock and succeed in The Reckoning. After today’s reset, you’ll be able to host private Gambit and Gambit Prime matches for you and your Fireteam. You’ll be able to choose your favourite Gambit Prime setup, map, encounter variants, high-value target spawn availability, and whether or not Power is enabled during invasions. There have also been a few tweaks made to both Gambit and Gambit Prime. Those playing in a pre-made Fireteam have an obvious communication advantage that can make winning a match quite difficult. To offset that advantage, the internal skill rating of pre-made fireteams has been raised quite significantly and you’ll be up against far more challenging enemies. This means that if you enter a Gambit or Gambit Prime match solo and join a random Fireteam, or even if you end up a man down or on your own in a match, you’ll still have a fighting chance at winning. After the 2.2.1 update, all the maps will enter the Gambit Prime playlist rotation, so if you want to play on a specific map you’ll need to host a private match. Arc Week begins on April 9 and will run until April 16, which is also when The Revelry begins. The Power Surge bounties are relatively easy to complete. The most challenging of the four is the one related to the Crucible. You must be level 50 in order to accept the bounties. Inner Systems Tour: Complete two public events and three Destination bounties. Fireteam Up: Complete a Strike and defeat 50 enemies in a Strike. I’ll make you rich(er): Send five Blockers in Gambit and complete a Gambit match. Tactical refresher: Kill 10 Guardians and complete a Crucible match. For the Inner Sytems Tour bounty, speak to the likes of Devrim in the EDZ to pick up some easy bounties. Likewise, you can choose to complete any Strike, so go for the easiest ones in the EDZ to get through these bounties fast. You don’t need to win a Gambit or Crucible match for it to count towards the bounty – it’s the taking part that matters. Now that you’re geared up to 640, let’s take a look at Gambit Prime. Vanilla Gambit has changed somewhat. A new sudden death round replaces the third round if each team has managed to defeat their Primaeval in the previous two rounds. In sudden death, the Primaeval spawns immediately and it’s a race to kill yours first. There’s also much more emphasis on killing the Envoys first, as opposed to focusing all your fire on the Primeval. Gambit Prime is pretty similar. Simply put, it’s a single round match where you need to gather 100 Motes in order to spawn a Primeval and four Envoys. The enemies are much tougher and more yellow health bar enemies will spawn with the regular adds. You also won’t be able to just save your Super and blast the Primeval at the end anymore – you’ll need to use it repeatedly throughout the match to earn Motes quickly. 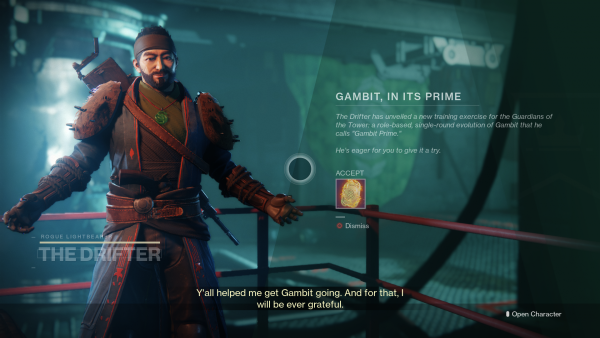 High-value targets will spawn more frequently in Gambit Prime and you should focus on taking those down as quickly as possible. While you still need to be banking Motes, you can also steal Motes from your opponents. Rather than just banking a random number or any old Blocker their way, you need to think about the size and timing of the Blocker in Gambit Prime. It’s a good idea to send a mix of Blockers to your enemies. You need at least two Blockers alive at once to start draining Motes. Your best bet is to send out a medium and a large Blocker first, before sending near continuous smaller Blockers who will more than likely boost the larger Blocker’s shields. This requires really succinct teamwork. There’s a reason there are classes in Gambit Prime and if you’re playing as a Sentry and are defending the deposit bank, then you better bring some decent heavy weapons. Invader – Lethal assassin: hunt your opponents and steal their motes. Sentry – Impassable wall: counter Invaders and protect your bank. Reaper – Scythe of destruction: clear waves and slay larger enemies. Collecter – Commander of the dark: gather all the motes and send blockers. It’s important that you play as your role dictates. There’s no shame in you all playing an Invader role – it doesn’t force you to be a diverse team – but your match might not go as well. It can affect what loot you get if you don’t fulfil the role’s requirements and you won’t benefit from its perks. In saying that, there’s nothing stopping you wearing half Invader gear, half Sentry gear for a bit of mixing if you don’t mind missing out on the bonuses for wearing a full set. Once you’ve completed your first Gambit Prime match, you’ll unlock The Reckoning. The Reckoning is a new four-person PvE mode that goes hand in hand with Gambit Prime. You’ll hear a few words from the Nine when you enter The Reckoning and there will be lots of new lore to uncover over the next few weeks. All three Tiers are now available to play, so jump in to try and get the best armour for your role. To unlock The Reckoning, you’ll need to complete one Gambit Prime match then head back to speak to The Drifter. He’ll give you an item, the Weak Synthesizer, triggering the next step which is to enter The Reckoning. 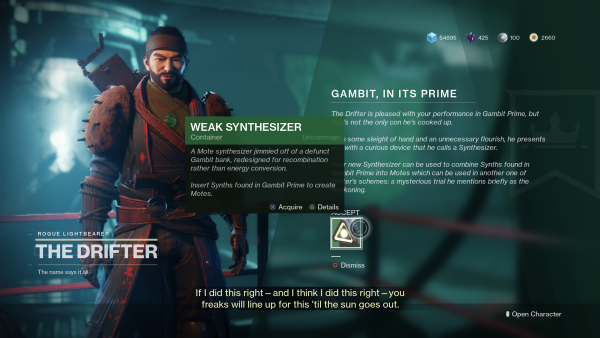 In Gambit Prime matches, you’ll get Synth drops. These Synths all relate to one of the new classes, and the aim is to choose a class, use the Synth drop and Synthesizer together and then you’ll get a special Mote in your inventory. Say you used a Collector Synth drop with the Synthesizer. You’d then use this Mote to begin a game in The Reckoning and if you succeed and win the game, you’ll receive a Collector armour piece. The idea is to play Gambit Prime matches, earn more Synth drops till you get a few for the class you want to play as, then play a few rounds of The Reckoning to get said armour. To upgrade your Synthesizer, you need to play one round of The Reckoning before heading back to see The Drifter. He’ll give you a new weapon and you can now access more weekly bounties. Complete these bounties to upgrade your Synthesizer components, as well as additional armour upgrades. As for gameplay, The Reckoning is a bit wild. There are enemies coming at you from every direction and a Taken Hobgoblin can one shot you from across the map. 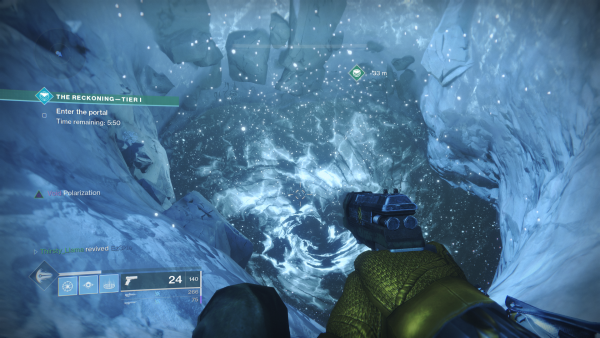 Once a special Mote has been deposited, you’ll have a short window in which to gear up before jumping down into the portal. There will be Supers polarization at different points in the matches which will give you a buff for using that particular type, like Void or Arc. It’s worth saving your Super as you’ll potentially inflict massive damage. You have six minutes to dominate the map – that is, fill the bar to 100% – and then a further three and a half minutes to take down a Taken Champion. It’s worth noting that, unlike many of the other modes which reward you for participating, you won’t receive any loot if you don’t succeed in The Reckoning. You can check out our Season of the Drifter page to see what else is coming to Destiny 2 in Season 6. For more tips, tricks and walkthroughs, have a look at our Destiny 2: Forsaken guide.